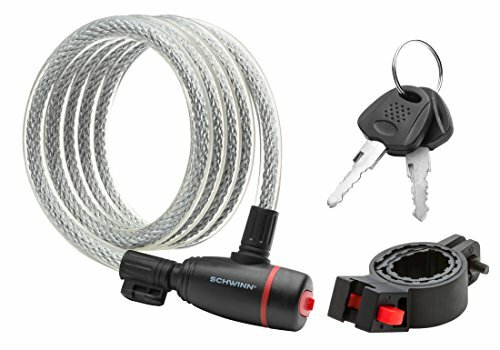 The Schwinn 6" X 12MM coil cable key lock provides the ultimate in security. The heavy duty 12mm braided self coiling cable is easy to use and store on your bike to commute anywhere. The keys make this a simple way to operate this lock and the quick release mounting bracket lets you take the lock anywhere with ease.